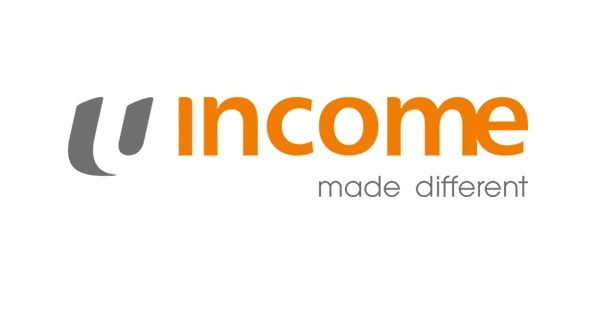 NTUC Income (“Income”) announced its partnership with Giosis Pte Ltd (Qoo10 Singapore), Singapore’s leading e-commerce platform to launch Purchase Guard, an insurance policy specially designed to give customers an extra layer of protection and a greater peace of mind when purchasing electronic products online. With Purchase Guard insurance, Income is the first insurer in Singapore to provide Qoo10 customers with a three or six-month insurance cover against defective or malfunctioned electronic goods that are worth a minimum of S$100, under two Qoo10 product categories – Home Electronics and TV/Camera/Audio. It is common that online retailers do not provide a manufacturer’s warranty, or at most, a local one (as opposed to an international warranty). Under such circumstances, Purchase Guard provides recourse to eligible customers in the event that the purchased electronic product becomes faulty or malfunctioned during the effective period of the insurance if it was purchased concurrently with the electronic products. Singapore’s e-commerce market was valued at US$1 billion in 2015, with online shopping making up 2.1 per cent of retail sales, the highest proportion of all Southeast Asian countries surveyed. In 2025, the figure is expected to make up 6.7 per cent of all retail sales. “Qoo10’s partnership with Income is significant in shaping the online retail landscape in Singapore. Customers often find it difficult to recover monetary loses should their purchase turn out defective, as they may not be able to seek compensation from Qoo10 sellers. With Purchase Guard, it instils a sense of trust and confidence in shoppers by enabling them to make better decisions about their purchases and be assured of their purchases. As Singapore’s leading e-commerce platform, there is synergy in the partnership as both organisations constantly look to enhance the online shopping experience for its customers,” added Mr HyunWook Cho, Qoo10 Country Manager. As compared to other retail products sold on Qoo10, electronic products are typically of a higher value and as such, customers are more likely to insure such purchases. Customers now have the option to add on Purchase Guard as a product warranty for over 250,000 items under the Home Electronics and TV/Camera/Audio categories. When the insured’s purchase becomes materially defective and fails to function due to unforeseen electrical or mechanical defects, the insured can claim against Purchase Guard if he/she does not receive compensation from the seller and cannot seek recovery under the product warranty. To make a claim against Purchase Guard, the insured has to first seek compensation from the seller, and Purchase Guard will pay up to the sum insured (amount paid after any discounts) for the main item or the sum insured minus any compensation that the customer may have received from the seller or manufacturer. Currently, Income offers 16 insurance products online. As part of Income’s push to become Singapore’s number one digital insurer, it is also embracing digital disruptions to offer smart solutions to customers. Purchase Guard is available for purchase with eligible electronic products (such as televisions, air conditioners, washing machines, cameras and more) on Qoo10’s website. For more information, please refer to http://www.qoo10.sg/shop/income . IFA firm was ordered to pay S$239,851 financial penalty in Singapore. Why?